The overall score for Nature’s Way Fortify Daily Probiotic is that of 3/5 stars, a ranking that places the currently reviewed product as an above average dietary enhancer owing both to its advantages and disadvantages alike. First of all, Fortify Daily Probiotic makes a good impression through its administration regime: all you have to do to benefit from this product’s wholesome action is to take 1 capsule each day, with or without (cold) food, and that’s that! Needless to say, a simple utilization regime goes a long way, especially with probiotic enhancers, because it helps you remember to actually take your day-to-day dosage and not get lost in complicated schedules or administration routines. Moreover, the 30 billion CFUs count present in Fortify Daily Probiotic makes for a particularly potent ‘punch’ of beneficial microorganisms in the first place. Their viability is also guaranteed by the manufacturer until the expiration date printed on each individual packaging, so you won’t have to worry about taking this product ‘for nothing’ in terms of probiotic efficiency. The only condition for the colonies to remain alive would be to constantly keep Fortify Daily Probiotic in a dry place, at a temperature of 73o Fahrenheit (23oC) or lower. Even so, refrigeration is optional, which means that Fortify Daily Probiotic can still be carried around in specific conditions and still remain a potent probiotic supplement. Another obvious advantage of this product is its vegetarian formula that enables its inclusion into a wider variety of lifestyle regimes. The vegetarian-friendly capsule has also been designed with a slow release technology in mind, so that the probiotic organisms reach the gastrointestinal system safely (without the fear of acid and other similar gut products damaging them along the way). Despite all of the above advantages, Fortify Daily Probiotic also exhibits a number of drawbacks. One of these is exactly its potent CFUs count of 30 billion microorganisms, a dosage much too strong for a daily usage enhancer. This number can only increase the intensity of the side effects that occur during the first few days of usage, as well as compete with your own intestinal microflora for food and thus lead to episodes of abdominal pain over time. For example, the strain called Lactobacillus casei has been shown to be distinctly hostile regarding food scavenging in relation to other probiotic types, which can then generate visceral discomfort. All in all, Nature’s Way Fortify Daily Probiotic scores a general rating of 3/5 stars as a result of its simple administration process, good probiotic guarantee (until the expiration date on the packaging), and vegetarian formula. Nevertheless, this slightly above average dietary enhancer loses some ground when it comes to a highly elevated potency (30 billion CFUs for a daily usage probiotic), potential side effects, and the not so convincing combination of probiotic strains from its formula (the employment of some ‘aggressive’ microorganisms). Bifidobacterium bifidum – as a Bifidobacterium family member, this probiotic has the distinct capacity to colonize the small intestine, colon, and vaginal system alike. Among its most important contributions to human health we can include increased microflora balance, reduced instances of E. coli infections, shorter diarrheal episodes, and overall better immunity protection in the long run. Of course, Bifidobacterium bifidum also highly improves digestive patterns by simplifying food decomposition and nutrient absorption inside the gut. Other notable benefits of this ‘good’ bacterium include meliorated allergenic responses, controlled inflammatory responses, as well as boosted antimicrobial screenings in infants and small children. Bifidobacterium lactis – is also scientifically known as Bifidobacterium animalis, a name still used to label numerous dairy and fermented products nowadays. The popularity of Bifidobacterium lactis as a probiotic is owed to positive contributions to both digestion and immunity protection, with lowered cholesterol levels, improved lactose tolerance, and better IBS (irritable bowel syndrome) management being just a few of the perks provided by this ‘friendly’ microorganism to begin with. In fact, Bifidobacterium lactis has proven to be a valuable tool in treating ulcerative colitis, protecting the organism against Helicobacter pylori infections, normalizing blood glucose, and even acting as a powerful tumour suppressor. Lactobacillus acidophilus – is more or less a ‘superstar’ of the probiotic world, especially with all the publicity it has been gaining in the last few years through natural yogurt commercials from all around the world. And it is no surprise why this ‘good’ bacterium has taken centre stage in the first place, since it qualifies as an excellent digestive booster, immunity enhancer, and mood regulator alike. In addition, Lactobacillus acidophilus helps relieve the unwanted side effects of lactose intolerance (such as bloating, gas, visceral discomfort, etc.) by breaking down the tough sugars in milk and transforming them into the more easily to process lactic acid. Lactobacillus casei – is the type of probiotic organism which can significantly lower pH levels inside the gastrointestinal system, hence stopping the development of any harmful pathogens and their subsequent negative impact on the body. Lactobacillus casei has shown particularly promising effects in the alleviation and long-term management of Crohn’s disease and IBD (inflammatory bowel disease), alongside diminishing diarrhea episodes and promoting intestinal wellbeing (by regulating bowel motility rhythms, enabling nutrient assimilation, etc.). Moreover, this probiotic aids the growth of Lactobacillus acidophilus, hence leading to an overall better sustained intestinal microflora in terms of probiotic colonies. Lactobacillus plantarum – this Lactobacillus member was first isolated from human saliva, being a very versatile and beneficial probiotic. Aside from enhancing digestive movements and immunity screening, Lactobacillus plantarum can be effectively employed in the alleviation and subsequent treatment of gastrointestinal issues such as ulcerative colitis, Crohn’s disease or IBS. One of the particularities present in this probiotic is that it produces an amino acid called L. lysine, which then improves calcium assimilation, increase muscle mass, and lower glucose readings. Lactobacillus plantarum can also prove beneficial in the case of abdominal cramping, gas, bloating, and intestinal inflammation in general. Lactobacillus rhamnosus – as a ‘friendly’ bacterium, Lactobacillus rhamnosus can colonize the gut and prevent the overgrowth of harmful fungi or other similar pathogens, as well as improve food decomposition and nutrient absorption. Furthermore, it is able to act as a natural antibiotic by suppressing the development of various Enterococcus species inside the intestines (a pathogen otherwise not responsive to normal medication). Lactobacillus rhamnosus is also highly resistant to bile and pH variations, meaning that it can live for longer inside this environment, develop thriving colonies, and promote general wellness inside the organism (for instance, it can improve lactose tolerance, reduce the duration of diarrhea episodes, and also combat the onset of various urinary tract infections). In the case of Fortify Daily Probiotic, the label explicitly mentions that the product is gluten-free, which is always a big plus. Nowadays, people who suffer from celiac disease or gluten sensitivity have to be very careful with all sorts of products they include into their daily regime because there is the constant risk of encountering even trace amounts of this substance and hence experiencing unwanted symptoms such as bloating, gas, nausea, bowel imbalances (diarrhea/ constipation), etc. In addition to being free of gluten, Fortify Daily Probiotic does not contain artificial preservatives, colours or flavours. Other ingredients that enter the composition of this probiotic supplement are cellulose, plant-derived capsule (hypromellose, gellan gum), magnesium stearate, and silica. On the other hand, the Fortify Daily Probiotic packaging makes no reference to other major allergens such as eggs, milk and lactose, fish and shellfish, nuts and tree nuts or wheat, which doesn’t automatically mean it does not contain them. So, if you find yourself in the position of being sensitive or allergic to any of the aforementioned ingredients, then be cautious when administering Fortify Daily Probiotic for the first time or even search for a similar alternative. 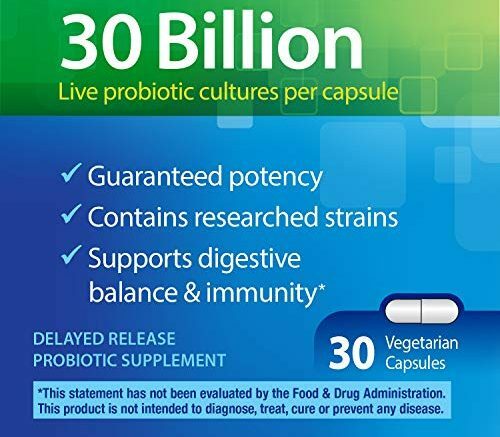 Every Fortify Daily Probiotic packaging format contains 30 vegetarian capsules for the price of $26.99. This means that, at 1 capsule per day as the recommended dosage, you will get around one month’s worth of utilization at $0.89 per individual capsule. In general, the average price of a good quality supplement is $0.69-$0.70 for each day of utilization, a standard cost which takes Fortify Daily Probiotic on the more expensive side of dietary enhancers. The investment might as well be worth it because the 30 billion CFUs content is quite potent and constitutes a significant ‘good’ bacteria boost on the long run. All in all, the price-quality ratio for Fortify Daily Probiotic evens out because you are getting a sufficient amount of beneficial microorganisms on a regular basis, through just one administration each day, which translates into a fairly practical and overall effective product. While it is not out of the ordinary for you to notice some mild discomfort during the first few days of using a new probiotic supplement, it is not that pleasant either. Some of the side effects you might experience in this initial interval are bloating, gas, as well as cramps and general abdominal discomfort. Nevertheless, this unpleasantness should go away after a short period and transform into improved digestive patterns and better immunity protection. Unfortunately, Fortify Daily Probiotic does generate some cramping and visceral pain at the beginning of the treatment. The plus side is that you will get rid of these symptoms quickly and then benefit from the probiotic’s good properties for the rest of the administration timeframe. Aside from the natural microorganism imbalance which occurs as a result of the external supplementation of probiotics, another reason for these unwanted side effects might be exactly Fortify Daily Probiotic’s elevated potency. In all fairness, 30 billion CFUs is a pretty strong count considering that the human gut might need a total of anything between 1 billion and 100 billion CFUs to function properly on a day-to-day basis. This is a detail you should definitely keep in mind if your stomach is usually more sensitive because you might experience such symptoms as well in the beginning. One particular downside to Fortify Daily Probiotic is that it does not come with a money-back policy. As a general ‘rule’, probiotics manufacturers often issue some sort of guarantee when commercializing their products on international markets, meaning that you could return the product within a certain timeframe (for example, 30-90 days) in the eventuality that you are not satisfied with your experience. 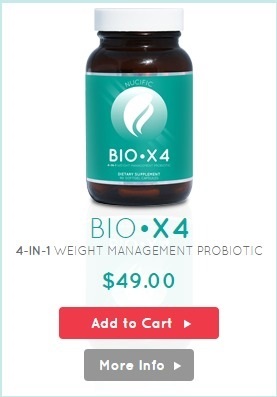 On the other hand, their official website does specify that, if you become unhappy with your probiotic choice, then can trade in your remaining capsules for a $15 gift certificate for any other Nature’s Way product. 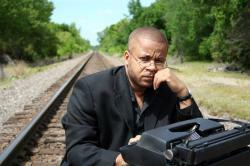 This somewhat makes up for the inconvenience, but it certainly does not cover your initial investment. 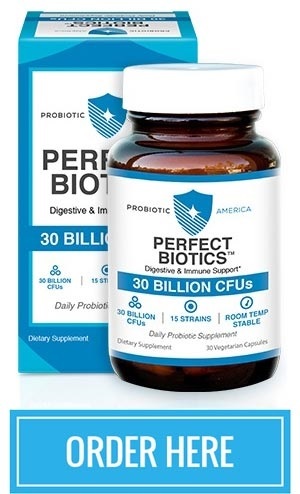 Some good news regarding Fortify Daily Probiotic in this department is that the manufacturer offers a good product guarantee for the 30 billion CFUs. As a result, these beneficial microorganisms should be viable up until the expiration date, which is something you always want to see in any probiotic supplement that promises good results over time. You can buy Nature’s Way Fortify Daily Probiotic via its official distributors. Be the first to comment on "Nature’s Way Fortify Daily Probiotic"